Prominent & Leading Manufacturer from Ahmedabad, we offer bottle filling machine for package drinking water. We feel proud to introduce ourselves as one of the well-known manufacturers and suppliers of Bottle Filling Machine for Package Drinking Water. The offered bottle filling machine for packaged drinking water is specially fabricated for filling drinking water in bottles. Our manufactured bottle filling machine for packaged drinking water is highly acclaimed for easy operation and fast speed. The supplied bottle filling machine for packaged drinking water is available at very affordable rates. 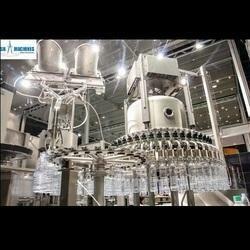 Looking for Bottle Filling Machine for Package Drinking Water ?